Meet Franck Ramage - Head of Wine Department | Le Cordon Bleu Paris. Franck Ramage received his "Certificat d’Aptitude Professionnelle" (CAP) and a "Brevet d’Études Professionnelles" (BEP) in Hospitality, followed by a "Mention Complémentaire de Sommellerie” (MCS), then finally a "Brevet de Technicien Supérieur" (BTS) in "Hôtellerie - Restauration". His professional career in Paris then began. In 1991, he was hired as a sommelier at Drouant, a two Michelin star restaurant. In 1992 he also worked for a year as a “commis sommelier” at the Ritz restaurant, another two star establishment. After working as second sommelier at the Amphycles, he joined the team at the renowned Crillon Hotel as a “chef sommelier adjoint”; he then began working as an “assistant chef sommelier” at the gastronomic restaurant Les Ambassadeurs, within the same hotel, as head of the “sommellerie” and bar teams. In 1999, Mr. Ramage decided to become a professor of “sommellerie”, teaching tasting, service techniques, enology, legislation and food and wine pairings at the private hospitality college Albert de Mun, in Paris. Throughout his career, Mr. Ramage has always strived to perfect his own skills and convey his passion for wine. He has lectured in Japan and China, and was leader of both the Grand Tasting Master Class and of several enology clubs. Since 2005, he has been a member of the Association des Sommeliers de Paris (ASP), and a trainer accredited by the Comité Interprofessionnel des Vins de Bordeaux (CIVB) since 2007, Bureau National Interprofessionnel du Cognac (BNIC) since 2015. Franck Ramage joined Le Cordon Bleu Paris team as Head of the Wine department in 2011. 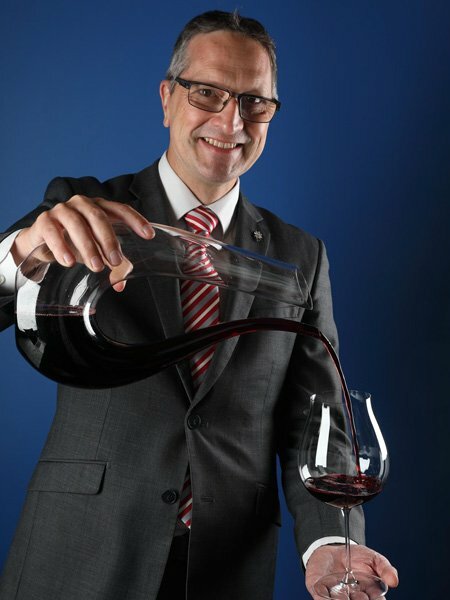 In 2012 Franck Ramage was awarded the title of Master Sommelier by l’Union de la Sommellerie Française.